How to manage a watershed ? 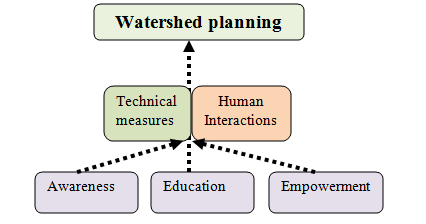 Watershed management needs all the factors to be taken in to account before finalizing the plan. It is not sufficient in watershed planning to concentrate on solely either on technical measures or on human interaction .Instead the importance of both these factors has to be taken into consideration.